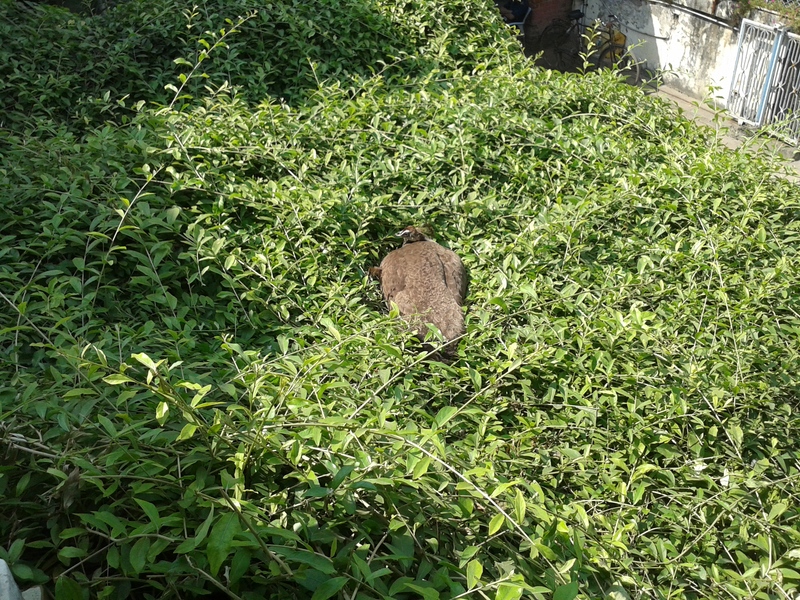 The peahen on our garage roof, Ahmedabad. 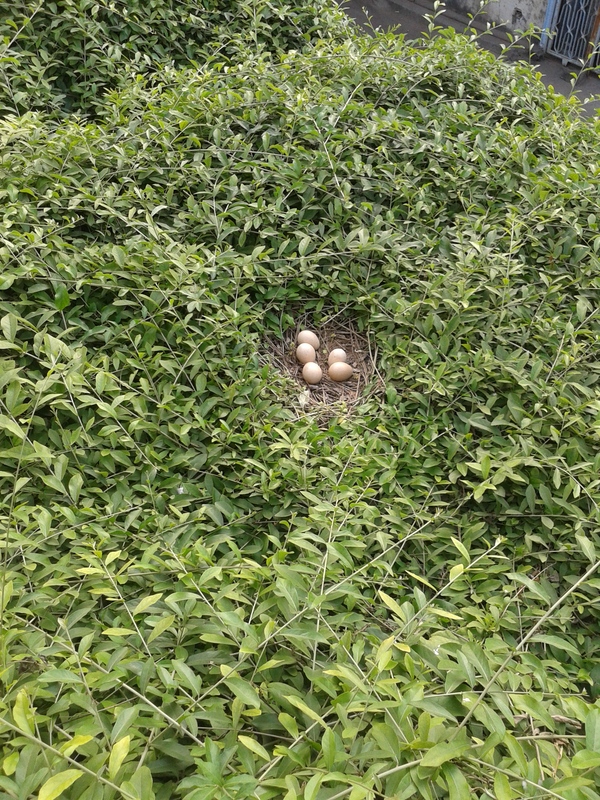 Eggs of the peahen. I took the pic when she flew to search for food. 7 am. I open the french windows of the balcony at my home. The sweet fragrance of the Indian winter finally in the air, after the longest stretch of monsoon I have ever seen. The branches of the trees gently swaying. The mynahs twittering. The sun rays making their first appearance from behind the tall skyscrapers. And suddenly, I see a peahen. It sits on our garage roof. My father tells me that she has been sitting in the same position for 2 weeks. Come rain or sun. Yes, in the exact same position. Her eggs underneath her. In a day, she only takes a half hour break in evening for food and water. She sees us approaching. Glances at us with fear, but doesn’t move. The internet says it will sit for a month like that. Without moving. Irrespective of danger to her. Her children are all that matter to her right now. I glance beyond. The traffic on the main road picking up. The noise of vehicles zooming. Time running short for everyone. Everyone in a hurry. And the peahen. Not even aware that she is a symbol of eternal patience. Focused on just 1 task. Her future children. But frankly speaking, I hardly have any poetic feelings. 🙂 I just wrote that post down as I felt at that instant. What a beautiful description, informative and sensitive! Nicely documented Article. Describing the nature’s secret by throwing a glimpse of curiosity over “The Peahen’s life” is indeed a learning lesson ! !